Although it has lost its top spot as Japan’s most popular national sport (that now goes to baseball), sumo and the massive, largely naked, and iconic wrestlers that are the symbol of this most ancient of Japanese pastimes, remains the quintessential Japanese sport, and visiting a sumo tournament is a great way to spend a half day. I was a big fan of sumo many years ago, around the time when Channel 4 broadcast the tournaments in the UK, back in 1990 (which I still have on video tape!) but I’d never quite managed to co-ordinate a trip so that coincided with one of the annual tournaments. But a couple of years ago I did. 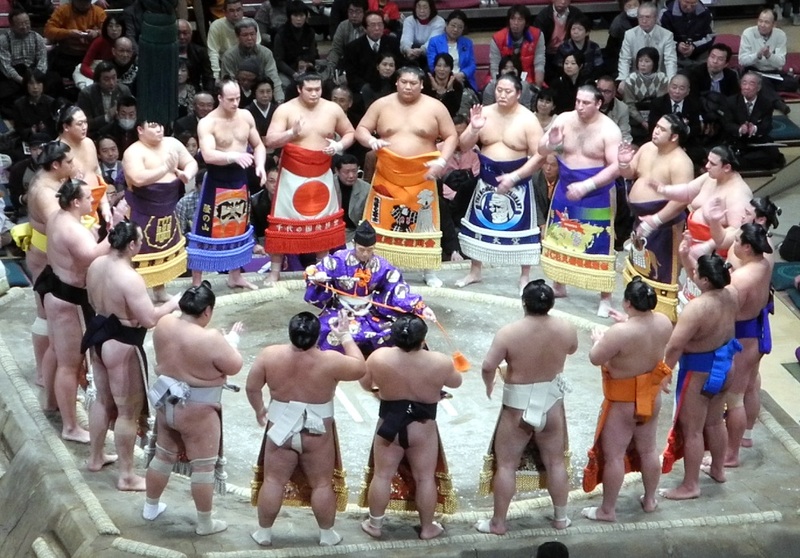 There are six Grand Sumo tournaments (or basho) each year. Half of them are at the famous Ryōgoku Kokugikan stadium in Tokyo in January, May, and September, and one each in Osaka (March), Nagoya (July) and Fukuoka (November). Each tournament begins on a Sunday, runs for 15 days, ending also on a Sunday. 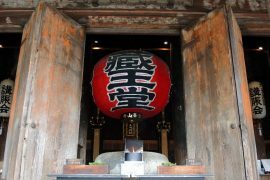 This time, I’d arranged to fly to Tokyo in January – deliberately to overlap with the basho that gets the season underway. Friday – The plan was to stop on arrival in Tokyo this time and do some stuff here for a few days before heading down to home in Kobe. We rented an apartment to use as a base in a quiet part of the city. It was compact and overlooked one of the cities many elevated train lines but it was quiet, impeccably clean, air conditioned and reasonably priced. The hotel also provided a luggage forwarding service (this kind of service is fairly commonplace in Japan) meaning we need not lug our large cases with us down to Kobe in a few days time – they would simply be waiting for us at home when we arrived. We lived out of one small case for the few days we were here. 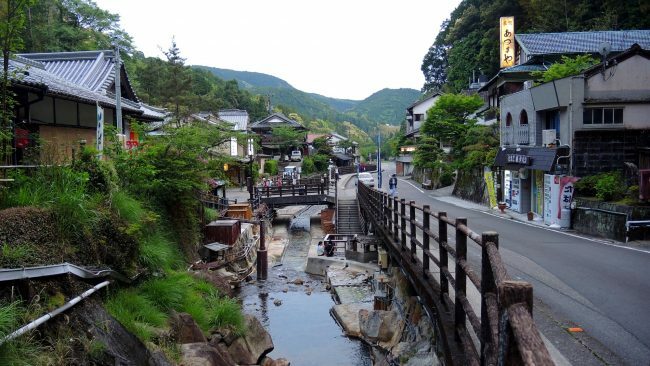 We took a stroll around the local neighbourhood on the first night and opted for dinner in an izakaya – which did a superb pork steak in a delicious sauce. Saturday – Next morning we met up with a friend of ours who lives in Tokyo, and hung out for the morning not far from Ueno. My wife and I then headed over to the Ryōgoku Kokugikan stadium for the first basho of the year, and my first ever sumo tournament. In the past, the high price and ticket availability has also been an issue, but with the decline in popularity of the sport in more recent times, triggered in part by corruption and gaijin (foreigners) replacing the native Japanese in the higher ranks, seats are more readily available these days and at prices that are not too steep either. Doors open as early as 8am, with the first bouts beginning at 8:30am (and from 10am after day 13 of the basho). However, these are the only the preliminary bouts. However, it’s typically around 2:40pm that the second division Jūryō bouts begin and things start to get tasty ;-). We arrived about half an hour later than planned, around 2:30pm, just towards the end of the junior rank bouts. Walking up outside we were lucky enough to see a couple of the wrestlers strolling in their yukata away from the stadium (possibly off to grab some chanko nabe for lunch!). 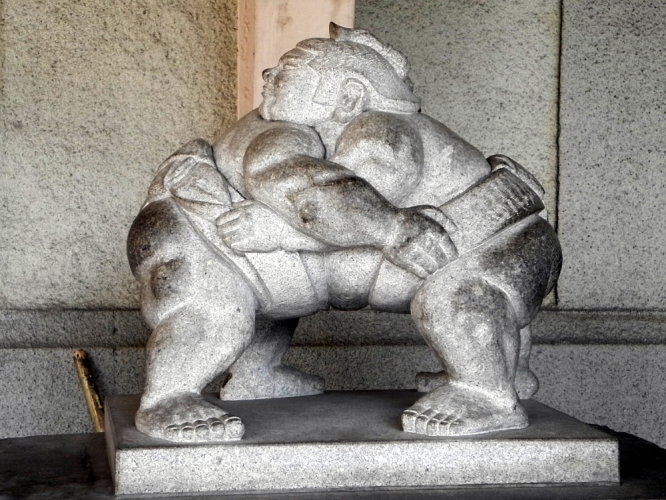 Sumo is Japan’s national sport! The Grand Tournament runs just 6 times a year, but the rest of the year there are many chances to see sumo wrestlers in action by watching them up-close-and-personal at a morning training session. Join our professional guides and be escorted to the sumo stable, learn about the history and how it’s entwined with Japan’s native Shinto religion, and see these impressive athletes at their rigorous training. Your guide will also be there to help you follow the rules and etiquettes of watching sumo in the stable. After the practice finishes, you’ll have the exclusive opportunity to take photos with the sumo wrestlers! 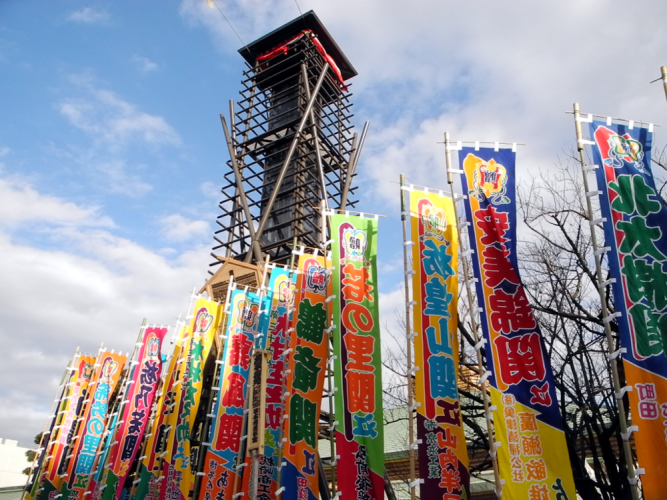 The walk up to the stadium is a riot of multicoloured banners celebrating the wrestlers, and there’s a real carnival/festival atmosphere outside the stadium with hundreds of people milling around, grabbing a late bite from one of the street food vendors or local restaurants. Family groups spanning three generations, young couples dating, a sprinkling of foreign tourists, and press all partaking and adding to the sense of occassion. Only just avoiding having the obligatory photo taken with Hyochan – the sumo mascot (a black and yellow bird dressed in a sumo belt and with a black top knot hairstyle), we then took to our seats. Geek that I am, I’d waited for this moment for the best part of 40 years after seeing Sean Connery as James Bond take up a cushion to watch sumo in You Only Live Twice – which was filmed in this very arena. It turned out to be every bit as enthralling as I’d hoped – even without the fear that villainous assassins were trying to bump me off ;-). Aside from the bouts themselves, there’s a lot of ceremony to watching sumo. This tradition and the long history of the sport is recorded in various places around the stadium. The huge banners hanging from the roof – depecting paintings of famous champions add to the atmosphere inside the arena. Be sure you pick up the free dailing programme and check the timings throughout the day, so that you don’t miss the entrace of the top division wrestlers (around 3:45pm), followed directly by the current Yokuzuna – the highest ranking champion. Afternoon become early evening as the senior ranking wrestlers stepped into the dohyō (ring) until the bouts for the day ended at 6:30pm with the traditonal Japanese bow twirling ceremony. Although our seats were quite high up, the view of the ring was fine. Using my camera I was able to get some decent photos and video clips too (when the three elderly ladies in the row in front of us weren’t leaning forward and shouting out the names of their favourites). It was good fun but less exciting than if I knew who the wrestlers were these days. 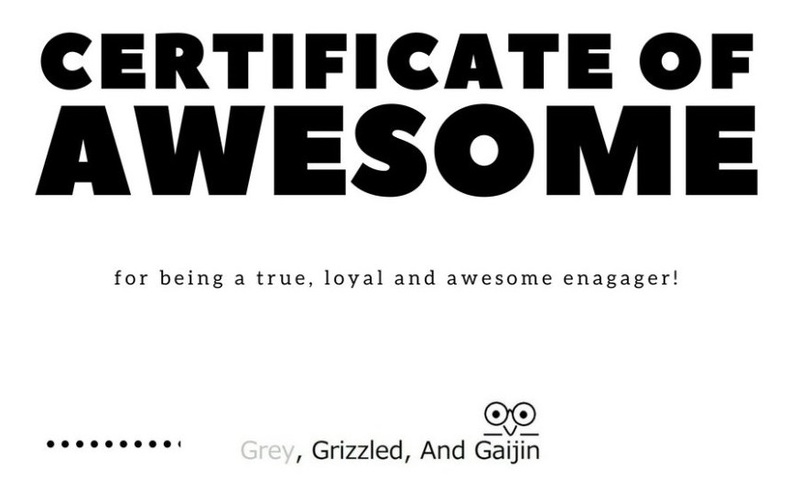 (I’m somewhat out of touch.) I would definitely go again, but would like to have followed a season or two before going and have at least one or two wrestlers to cheer (and others to boo!) so as to get the most out of the day. Even if you only have a passing interest, visiting a sumo tournament is a great way to spend an afternoon/evening. Many of the top division (makuuchi) wrestlers arrive at the South Gate around 2pm each day. Its easy (and permitted) to hang around here before they arrive and stake out a good position near the pavement. Cars drop the wrestlers off and they walk up the path to the entrance to the arena – affording fans the chance to see some of their heroes up really close! If you want to listen to live, running commentary in English, you can rent radios for just 100 yen inside the stadium. Commentary is provided between 4 and 6pm each day. You’ll need to also leave a small deposit – which you collect back when you return the radio.